There was an element of disingenuousness in the announcement of the exhibition of a group of Polaroids by David Bailey from Papua New Guinea at the Daniel Blau Gallery in London. The press release calls them “hidden from view ever since” (they were made in 1974). The pictures weren’t hidden: they were published in a perfectly commercial book soon after (David Bailey. Another Image : Papua New Guinea. Matthews, Miller & Dunbar, London, 1975). The fact that the book wasn’t all that successful doesn’t make them hidden. As I write a dozen copies are available on Abebooks. The book is a pleasantly anecdotal — if relatively slight — presentation of what these pictures are. The prints (a very different thing, of course) have been boxed and now appear, nicely unfaded, on a gallery wall for the first time. David Bailey spoke about them at the gallery the other day, in conversation with Anthony Meyer. To start with, what on Earth was Bailey doing taking anthropological portraits in the first place? I think the answer is not far to seek: Irving Penn. As senior photographer at Vogue America when Bailey was making his name (also at Vogue), Bailey had no choice but to follow Penn in detail. And he had been making famous ethnographic portraits. Penn’s Dahomey studies are dated 1967, his New Guinea studies (including a very famous photograph, Three Mud Men of Asaro) are dated 1970; his Moroccan portraits 1971. In the face of that, it is easy to see that Bailey had something to follow. Perhaps he regarded it as another way in which photography could open out, get him beyond the world of fashion which even then he found limited and limiting. Bailey describes the reaction of tribesmen to the pictures as disappointment: they treated them as broken mirrors, he says several times, turning the Polaroids here and there, puzzled as to how the picture stayed put and failed move as a mirror would. Polaroid SX-70 was very new at the time, and one can see that Bailey (who was always interested in the technology of photography and good at it) would have leapt at the chance to try out something light, fast, and one-off . Interestingly, he is scathing about those photographers who “chase the Polaroid”. He explains that he means those who use a Polaroid back before a shoot, and then spend the rest of the session trying to recreate the effect they obtained. He uses Polaroid backs himself, he says, but only at the end, to check that the cameras are working properly. Polaroid did not pay for his Papua trip (he paid for that himself), but they equipped him generously with cameras and film. He took a blanket and a sheet to act as field backdrops (a trick he learnt from John French, whose own ex-army blanket was once lovingly restored by the V&A textiles department before appearing in a French retrospective exhibition). Another recurring backdrop is corrugated iron, which Bailey enthuses about. It’s one of the things he likes about Australia. I’ve never been to Australia, but Country Life once published a serious piece of research about the nineteenth century British firms which sent flat packed corrugated iron buildings, complete, for colonial use. You could buy a scout hut or a villa appropriate to a district officer or even a complete church. I imagine the Tin Tabernacle, just off the Kilburn High Road, in London, is one surviving example among many, although I don’t know which company made that particular one. Corrugated sheeting is an interesting choice for Bailey to have made as his background. It speaks (as do the occasional Christian crosses worn around Papuan necks) of a degree of Westernization, willing or forced, in stark contrast to the un-colonised appearance of the sitters themselves. As a matter of fact, many of these Polaroids, perhaps the majority, are not terribly appealing pictures. They’re all very interesting, though. Choose the right one, and things start to leap out of these little frames with a startling energy. But many of them are flat, very dark, a little weary. He gets very close to the sitters, but can’t get them to break into an expression. They stare, dourly. They hardly move. The word I’d use is depressed. These are slightly depressed pictures. And that’s not a word I’ve seen associated with David Bailey before. Penn’s ethnographic studies had turned the subjects into stylish clothes-wearers, (or stylish wearers of the absence of clothes) and they make me uncomfortable with a degree of condescension. I imagine Diana Vreeland, the purveyor of dismissive bons mots who is more responsible than anyone for the lasting association of Vogue with unthinking and mildly contemptuous snobbery, would have loved them. When Penn puts Truman Capote against a plain background, I understand that Capote was savvy enough to look after his own ‘image’, and the pictures are to some extent a collaboration. But when Penn made the Asaro mud men caper about like the chorus of some tribal Broadway musical, I’m less easy. Much earlier, in Cuzco, in Peru, Penn had made pictures of his hosts as he travelled which are not patronizing. But by the time he went to New Guinea, I’m not sure he knew how not to be. Bailey’s Papua pictures, small and intimate and relatively quick to make, are an obvious counter to that. I suspect, from looking at them, that he himself felt a certain discomfort at what Penn had made. I asked him, and he sort of huffed and said Penn wasn’t him and he wasn’t Penn and each to his own and so on. Take that for a mild ‘yes’. So what is one to make of these small studies of Bailey’s? First and foremost, I think they are consciously not Penn. They are non-snobbish, non-colonial. Bailey produced a wonderful line in the gallery when he said “You know, once you’ve travelled a bit, everywhere looks like Wiltshire.” I translated that as meaning that Bailey had found nothing of the sublime in Papua, either of the people or of the landscape. Yet Bailey is a substantial collector of Oceanic and African art. “I like the crap as much as the good stuff. Anything that looks like Picasso, I suppose, “ he says with mock modesty. He even bought some pieces on the trip then. So it wasn’t that he was closed to Papua. But somehow, it didn’t really fire him up. No doubt, it was a hard trip. No doubt, too, he found that his egalitarian, hail-fellow-well-met 1960s attitudes met no answering spark. And perhaps there were personal and professional worries of which we know nothing which simply meant that he was off form at the time. It happens, why not? I have another suspicion, which I cannot prove. I suspect that Bailey really didn’t get along with the Polaroid. At his recent show in Newham we were reminded just how brilliantly he could get the best out of any camera. If anyone could get magic out of the equipment, Bailey could. Large and medium format studio camera, 6×6 and 6×7, more recently lighter digital equipment, he’s tamed it all. He’s like a string player who could make decent music on a fiddle or a cello or even a viola if he had to. But in the Polaroid SX-70, Bailey seems to have found his ukulele. It just didn’t give him enough control, didn’t allow him enough options. They’re not bad pictures, far from it. Any collector could easily choose a good one. It’s a very intriguing show, revealing as it does a new light on an artist we thought we knew. It’s odd, though. I can’t get away from the thought that it’s a brave show, too. It’s the first time I’ve seen a photographer come so very near to publicly acknowledging that maybe he picked the wrong tool for the job. I recently had occasion (as they say in police reports) to visit the Watts Gallery, in Surrey, outside London. The Watts Gallery is dedicated to the work of George Frederic Watts, a superstar painter of the Victorian period. Watts had something of a Dickensian social conscience and also a shameless energy at what would today be called networking. I had a nice time and came away thinking that galleries which revolve around the work of a single artist are often more interesting to a non-specialist than one might expect, provided the artist was good enough to give the curators even a little toehold for imaginative thinking. A small but amazing temporary display at the Watts Gallery, for example, is devoted to his fierce opposition (in Victorian England) to the unnecessary cruelty of killing birds for plumage to use in fashion, particularly as decoration on hats. Who knew that he cared? Hooray for the Watts Gallery, and hooray for smaller galleries and museums in general. Where do these names (below), which include that of Watts, appear in this order? They appear on the first floor of the two street facades of the Victoria and Albert Museum, titling the seven-foot (or so) sculptures which together add up to a three-dimensional National Portrait Gallery of artists. We think of celebrity as a modern obsession, but it is one that dates from the Victorian period at least. 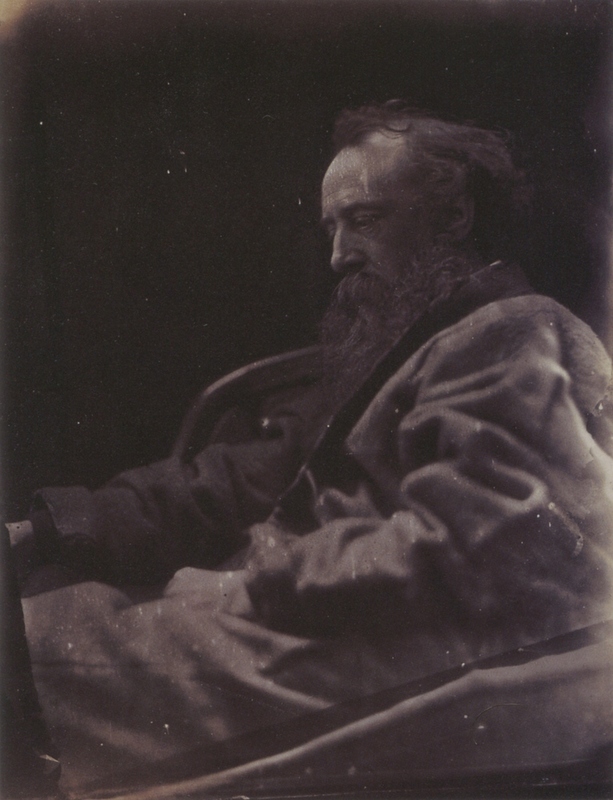 Watts worked for years on his Hall of Fame (much of which ended up in the National Portrait Gallery, itself a uniquely British expression of the cult of celebrity) and he encouraged Julia Margaret Cameron to do something very similar. By the 1890s a popular magazine like the Strand Magazine was publishing Portraits of Celebrities as a regular feature, plying a line half-way between prurience and high-minded example. The names down to Grinling Gibbons line the Cromwell Road façade, in groups respectively of architects, painters (two groups of six) and sculptors. The two lower groups of five are of craftsmen, and they line the Exhibition Road façade. Interesting that Gibbons makes it into the high art crowd. You could just as well call him a great craftsman. But where should art and high craft meet and mix if not on the façade of the V&A, a museum devoted almost by definition to blurring precisely that boundary? It is always easy (and never very profitable) to pick holes in other people’s Best Of… lists. St. Dunstan was a tenth century goldsmith, silversmith and also a blacksmith (as well as being Archbishop of Canterbury and in effect the principal minister of several English kings). Dunstan is credited as a musician and a fine draughtsman and letterer of manuscripts. Although no doubt obscure today, he could hardly deserve a place on the façade more. William of Wykeham’s place is more open to question. His contribution to architecture is as a patron and client. He was (in the fourteenth century) a great administrator who served twice as Lord Chancellor, and his inclusion here may best be explained by the fact that what was for many years the standard biography (by George Herbert Moberley) was published in 1887, only a couple of years before Aston Webb won the competition to design the Cromwell Road façade in 1891. (It was not to be completed until 1909). The main door — with sculptures of Victoria and Albert positioned centrally above the arch, and others of Edward VII and Queen Alexandra to each side, as well as the allegorical figures of Knowledge and Inspiration —­­ falls in the list above between Turner and Cosway. This has the odd effect of giving the place of honour, to the right hand of the monarch, to Richard Cosway, who is always described as a notorious libertine. Cosway had caused himself to be appointed Painter to the Prince of Wales (the future George IV), a title held by nobody either before or after. He was a libertine, and also a fop, but he was also an extraordinarily successful self-promoter, a social climber of prodigious ambition, so perhaps it is not so surprising to find him elbowing his figurative way to the middle of the façade. Cosway’s speciality is unfashionable now, because he was miniaturist, but he was a wonderful painter. William Torel was commissioned by Edward I to make the effigy of Henry III in Westminster Abbey, which is still there (a copy is in the V&A). There’s not much surviving work by Torel. 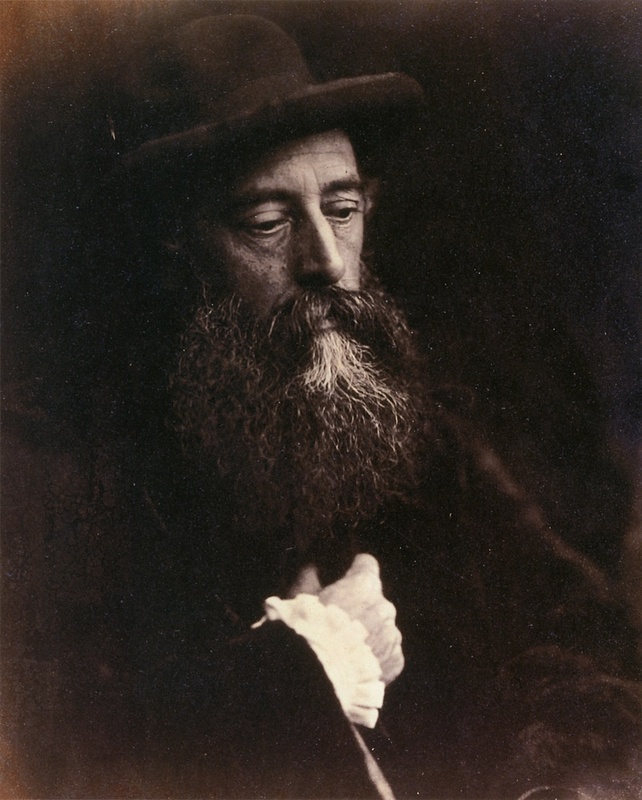 What is recorded, in the words of the Dictionary of National Biography (itself another extraordinary Victorian institution devoted to the cult of celebrity), is that he was a receiver of stolen goods: “His documented career ends on a picaresque note. In 1303, after the burglary in that year of the king’s treasury at Westminster Abbey, William Torel aurifaber is noted as having bought two gold rings from one of the principal suspects in the case.” Again, an odd record for high-minded Victorian and Edwardian committee-men to ignore when agreeing to give him a place on the façade. But he was then more highly considered than now: he is also listed on the Albert Memorial among the sculptors in the Frieze of Parnassus. While nobody doubts the eminence of Roger Payne, eighteenth century bookbinder, it is worth noting that he made a habit, as few bookbinders have, of signing his work, so that he, too, contributed deliberately to a renown which his works alone might not have guaranteed. Again, his habits so tended to strong liquor that he died penniless; another example where the quality of the work must have appealed to the Office of Works (in charge of commissioning the sculptures) more than the example given by the life. I’m not – in spite of their prestigious positioning on the outside of the V&A – quite sure of the quality of all of the Cromwell Road sculptures. Several of them were made by students of Professor Edouard Lanteri at the Royal College of Art under a peculiar agency agreement whereby he took a commission for getting his pupils the work. But several of them are very fine. It’s a good museum that starts its work in the street outside. Thomas Tompion was a clockmaker, by the way. I just looked him up on Wikipedia. Visiting the National Portrait Gallery this weekend to see the (splendid) Thomas Lawrence exhibition, I noticed that the lay-out once again placed the micro-shop dedicated to selling the catalogues and other material in the middle of the exhibition. It is a separate space and clearly identified as such, but there is no way to see the entire exhibition without being channelled through it. Nothing wrong with museums and galleries striving to generate as much revenue as possible, and in Britain today perhaps more than elsewhere. But the National Portrait Gallery went too far the other day. The terrific exhibition devoted to Camille Silvy, swansong of the distinguished photo-historian and curator Mark Haworth-Booth, had a shameless glass case right in the middle of the show, looking for all the world like one of the exhibits. Except that it wasn’t. It contained only samples of the material on sale in the bookshop elsewhere. This time, it wasn’t distinguished as being a specifically commercial space. On the contrary, it was camouflaged as part of the exhibition. We can have some sympathy. The NPG must be desperate for every penny of revenue. But not that much sympathy. If the marketing and commercial people can’t see where they should back off, we have a serious problem of containment. Curators need plenty of courage to hold these commercial forces back, but hold them back they must. The Camille Silvy show was a grand demonstration of what public museums can do. But that one glass case was a disgrace. We need to notice these infringements or one day it will be too late.